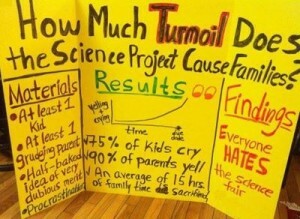 I can’t tell you how many dozens of times I have heard this during my time as Chair and Vice Chair of the MA Science Fair. This uneducated answer is precisely the reason why I have spent so many hours every week, for decades, trying to figure out strategies to help towns & governments see the light that science fairs don’t detract from “real,” “standardized,” “formal,” learning — but rather, they serve as a means of alternative learning that will support not only the Next Generation Science Standards (essentially, the entire section known as “science practices”) but also scientific literacy in the US and other nations for generations to come. 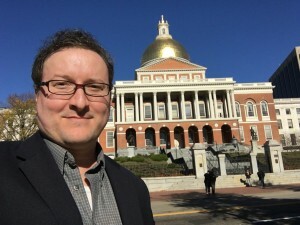 As I went to the MA State House yesterday, once again, (for the umpteenth time – which is apparently not a real number BTW), to promote a science fair bill I filed in the MA House of Representatives nearly 7 years ago, I met with a group of people who helped me once again believe in what I do. 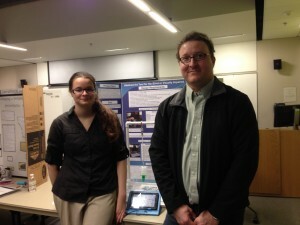 You see, for many years in the early 2000′s I met with local student councils, city/town councilors, state legislators and governors to try and convince them of the overall value of science fairs (and other forms of STEM inquiry assessment) – from the perspective of teacher unions (learning time, inequity of teaching responsibilities for different subjects, teacher waivers, complexity of ongoing professional development requirments, etc), workforce development, state and local economies, national/international repututation/status, grant opportunities, publicity value at the local level, global partnership/collaboration opportunities — you name it, I analyzed it! 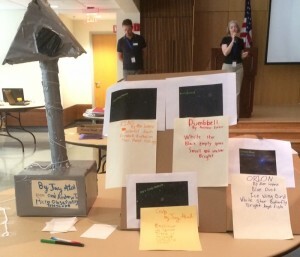 Well, after coming in year after year with powerpoints, whitepapers and speeches/testimony for bills and also serving on working groups and more, I realized that STEM was not yet a popular topic and people did not realize the dire need for better scientists and engineers in MA, the US and around the world. 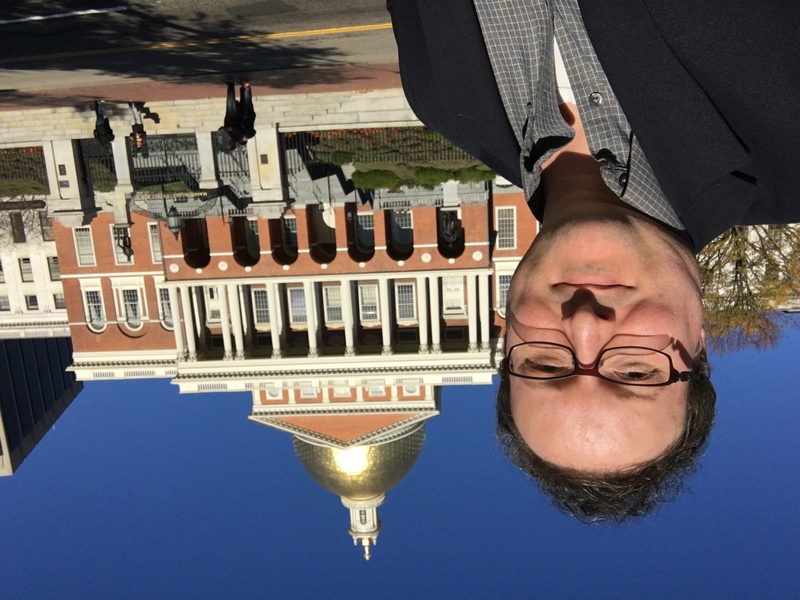 It turned out the best way to start off in gaining recognition for this need would be to just file my own state bill, or my own barrage of bills (in case you are curious I first filed a bill in 2008 / early 2009, known as H.350 in the MA House of Reps). In MA, there is a law that allows (private, non-elected) citizens to file their own bills, by themselves (and their State Rep is required to file it “on behalf of” a citizen). Many other states have similar “petition” laws. By doing so at the state level, it generates press and it generates recognition from local school, city/town council and other leaders — not to mention your state’s Congress. It turned out that by filing my bill I also earned a unique distinction of being the one and only person to file a Massachusetts Bill by fax (according to the clerk of the House at the time, by voicemail) — and apparently I still apparently have that odd distinction. Well, it has taken nearly a decade, with lots of meetings, and my very simple bill (which does not require state or local tax money to approve it, so it does not require a reference to the dreaded “Ways & Means” committee) is still going, with reports, hearings and readings before the Joint Committee on Education. 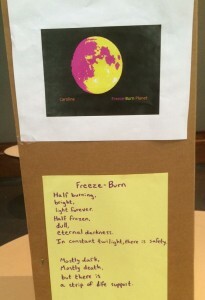 While it has not yet passed, it has earned attention at the local and state levels, and certainly has people talking (and to be honest although the bill is a statewide bill and has nothing to do specifically with mandating statewide science fairs; it is directed toward allowing local fairs the ability to raise their own, protected funds). I am proud to say that around the time I filed this bill, Randolph, MA (my hometown) started its own science fair program within the whole school system, after many many decades of not doing so. 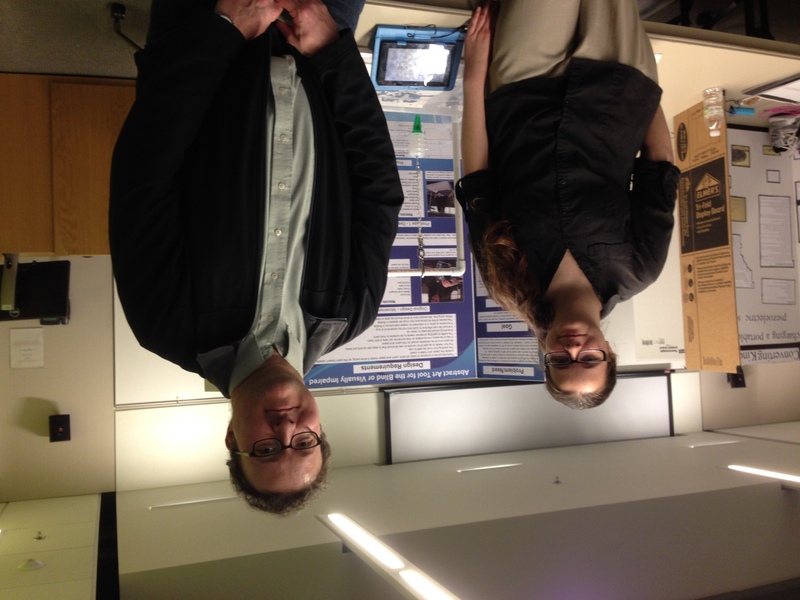 (I entered my state science fair on my own as a student, since my state fair allowed 2 students from every school in the state to enter, regardless of whether or not they had a science fair at the school/district level). 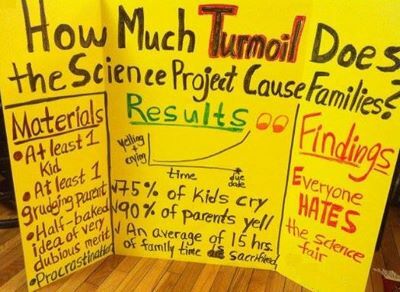 So, even if your school says no — and your principal and school council say no — you CAN still have a science fair in your area, if you file a bill, or encourage your local Rep or State Senator to do so!!! 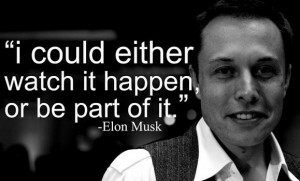 You might even simply bring it up at your school committee/council meeting or town council/town meeting to start off with and see that gains any traction. Maybe your local PTO/PTSO can try it, or try it on your own, and contact your local paper, and see what happens! You may be surprised by what you can achieve. Remember, your government belongs to you, and you should use it as best you can, to improve the education of your children, and that of your neighbors too. You don’t need to wait to vote for a person who will file a bill you like and hope that other people will vote for it too — you can just file it yourself, and promote it yourself (or better yet, run for office!)! 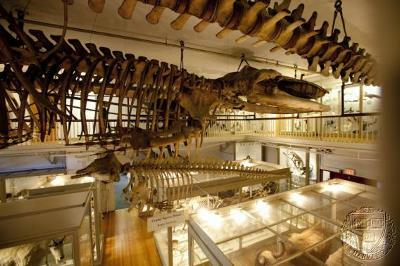 A lot of his interest in science was originally sparked by taking him to the Museum of Science and to the Aquarium, where he was first introduced to the “ooo’s” and “aaaahhh’s” of biology, chemistry, astronomy, oceanography, electricity and… dinosaurs. 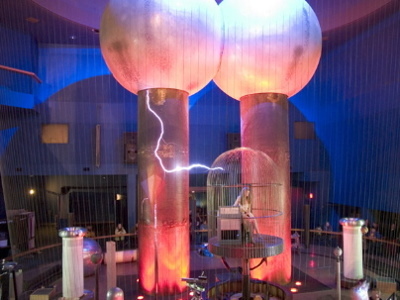 What kid (or adult) isn’t fascinated with the Van de Graaff generator, the huge T-Rex, or real sharks in huge tanks? It has been well documented that many students lose more than 2 months of knowledge over the summer. 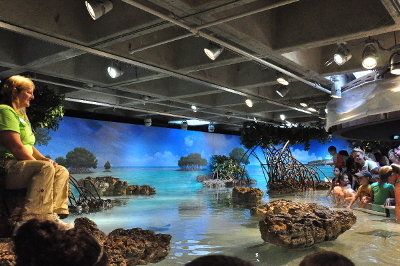 The courses my son took at the science museum and aquarium, on weekends and especially during summer when he was in elementary & middle school student, allowed him to have a hands-on experience in “the art of experimentation” with activities, materials and equipment that I couldn’t afford to supply at home, at an age when it could (and obviously did) make a lasting impression. When it came time for him to start working on school science projects and his science fair projects, the contacts he had made at the Boston Museum of Science, in particular, were invaluable to opening many doors. 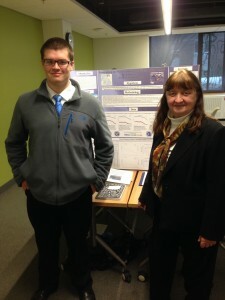 The Museum staff not only helped him develop his project ideas, but helped him to find access to materials, labs and equipment not often available to someone so young. The most valuable thing you can do to help your child start developing an interest in the fascinating world of science this summer is to encourage regular visits to a science museum, aquarium, zoo — or even your local library or bookstore where they host workshops, so your child can be introduced to the Science, Technology, Engineering & Math (STEM) subjects that most interest him or her. When your child expresses an interest in a specific topic, nurture their natural curiosity until it blossoms into their own experiment or project. A museum course instructor or workshop leader may even agree to become a mentor to your child, and may be best equipped to help your child to expand upon ideas and interests. 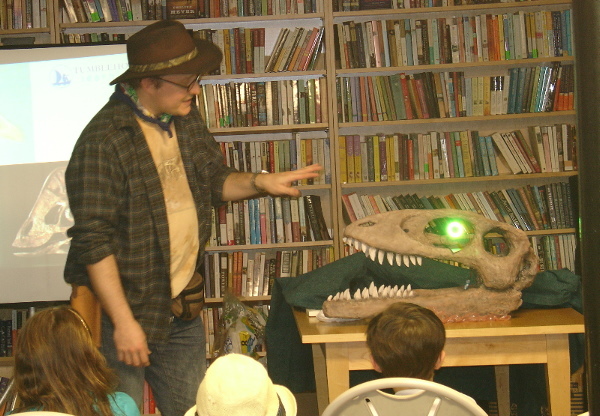 You can find lots of fun workshops at your local bookstore or library over the summer. 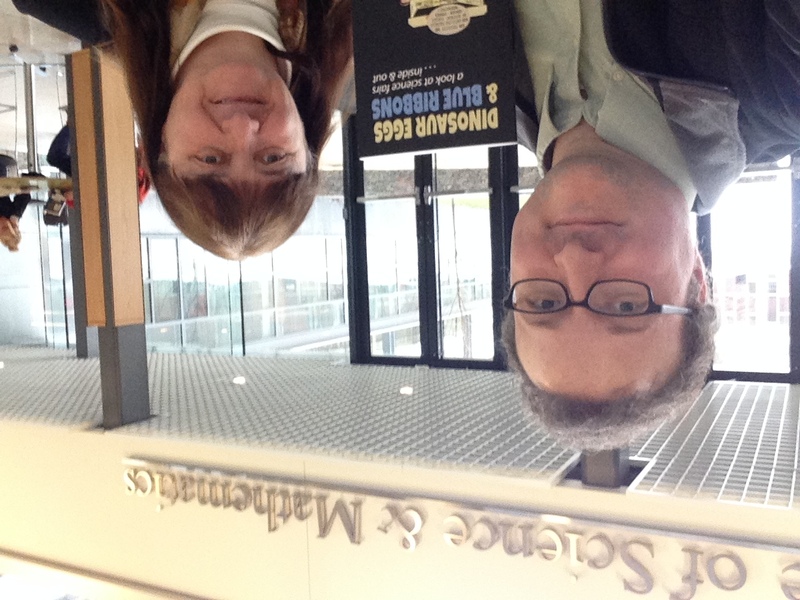 Barnas Monteith, along with Pat Monteith, of Mistersciencefair.com, unveiling the newest version of “Dinosaur Eggs & Blue Ribbons” (DEBR) at the MA South Shore Regional Science Fair, at Bridgewater State University. 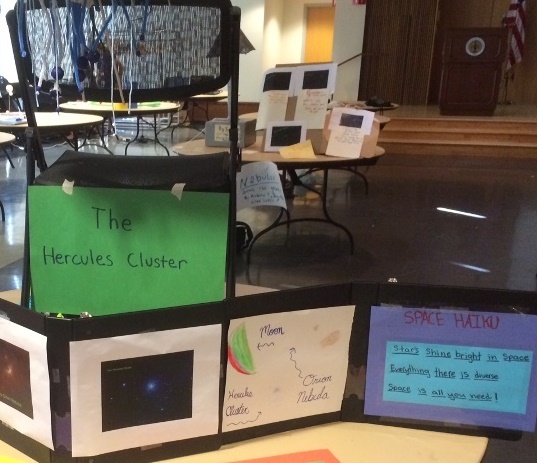 This is the very same science fair featured within the book, where Barnas began his science fair winning streak, ultimately ending up with multiple first place International science fair awards. 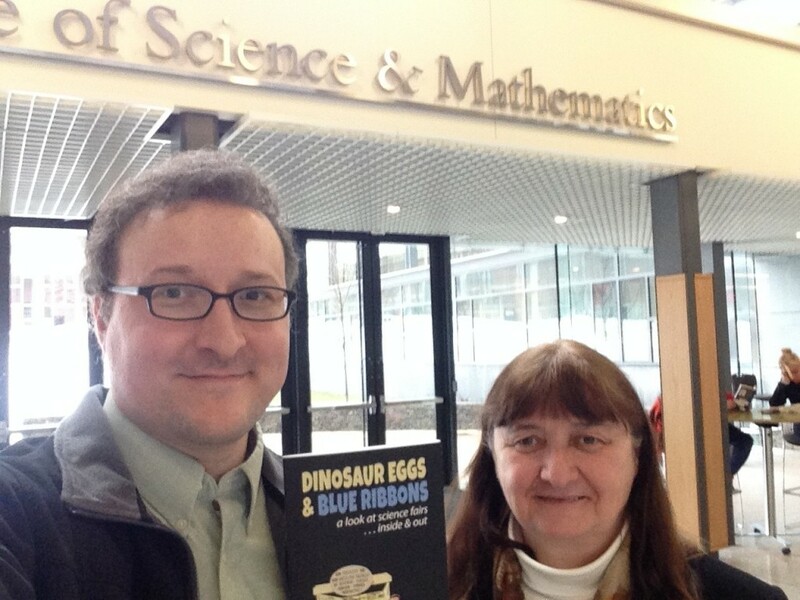 “Dinosaur Eggs & Blue Ribbons” is a book designed to inspire children to join science fairs, both for the rich adventures and rewards that can be had. DEBR chronicles Barnas Monteith’s early days as a field paleontologist as well as a science fair participant. 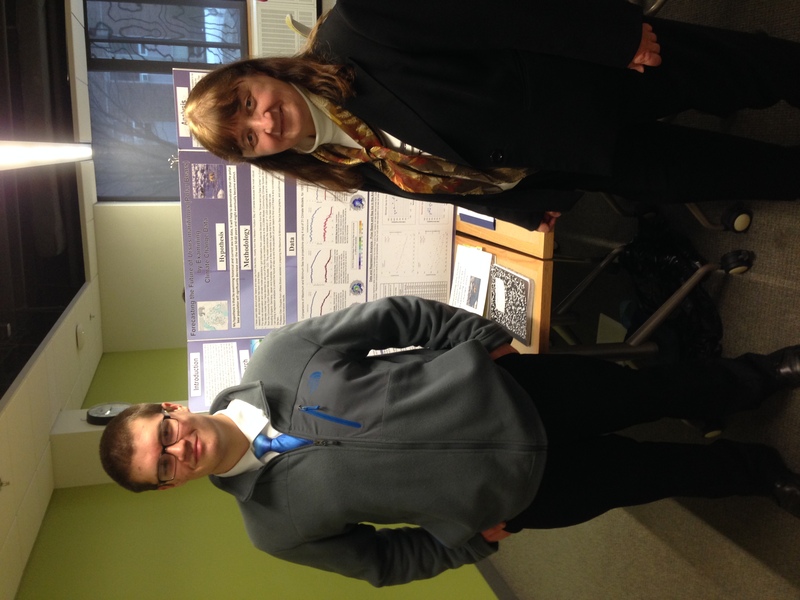 Here you see Pat Monteith, who is also a science fair mentor, along with one of her students, Chad, who entered the South Shore Regional Science Fair, with a project about polar bears. The study uses publicly available data to track long term climate change and its effects on wildlife. Here you see Barnas, along with another of Pat’s students, focused on a study to help the blind create abstract art via a special tool which is simple to use and yields stunning artwork, similar to Jackson Pollock’s works. For more information on DEBR, click here. 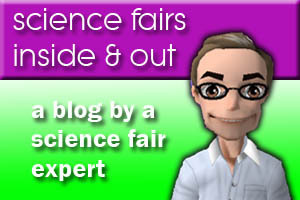 If you have any interest in becoming a Mistersciencefair mentee, please contact us via our Contact Us page link above.